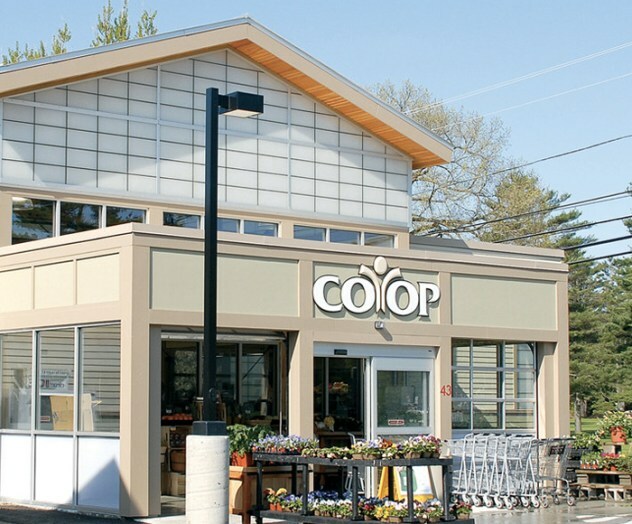 My friend and colleague Jason Dacier, a salty, good-natured Co-op chef, has spent the last several weeks revamping the menu at the Co-op Market, our popular, homey food store and cafe just north of Dartmouth College. The Market sits at a busy roundabout on Lyme Road in Hanover, near Dartmouth Medical School. The area is surrounded by pastoral neighborhoods and tall evergreens. My family and I went to the Market one cold Friday evening recently for dinner. I ordered what turned out to be—and I don’t say this lightly—the best batch of red beans and rice I’ve ever had in my life. The recipe was a Jason original. Jason told me the recipe was an old personal favorite he developed over many years of experimentation. (“What’d I tell ya?” he said, seeing the joy on my face after the first bite.) 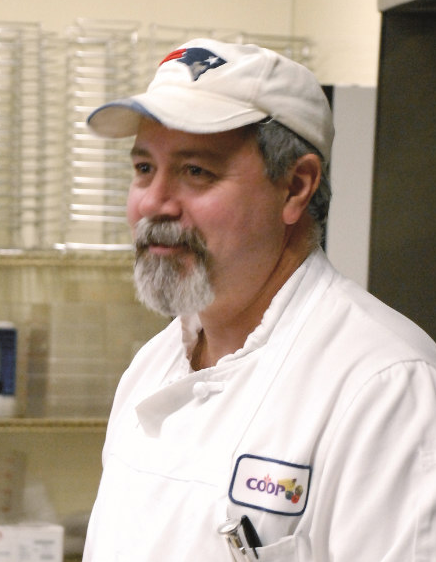 He wore a white chef’s coat and a New England Patriots cap. His salt-and-pepper goatee was cropped close to his chin. As good as the food was, my favorite part of the meal was listening to Jason’s stories. His red beans and rice, he said, was inspired by a New Orleans greasy spoon where he used to have lunch when he was in the Navy many years earlier. 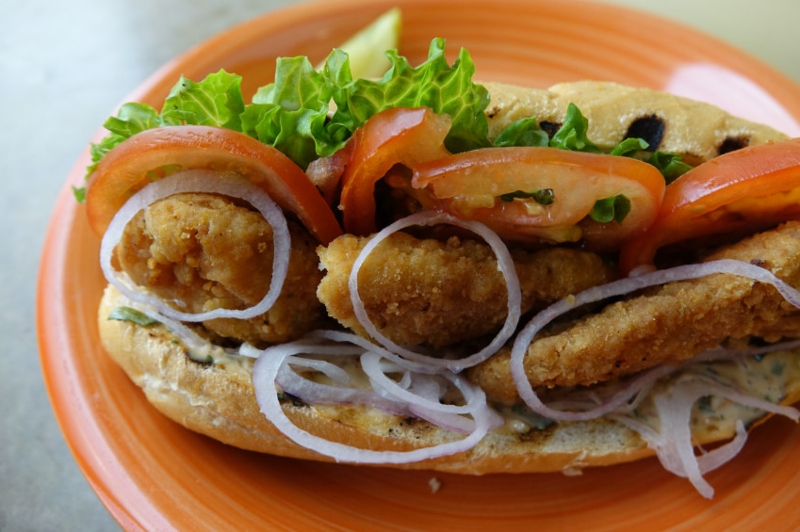 “I’d find that joint whenever I went to New Orleans when I lived on the Gulf coast,” he told me. His usual lunch was red beans and rice, French bread, and Dixie beer. (My kinda lunch.) Thanks to the food and lively conversation, Jason made the experience feel like a little touch of Louisiana right here in the Upper Valley. All that was missing was the Dixie beer. Anyone who knows both Jason and the Market will agree the two are made for each other. Both have a loyal following, both are a kick to be around, both have a certain idiosyncratic character. Jason in particular is a character by any measure. He’s funny, refreshingly honest, with an indelicate charm. He’s not fond of small talk or superficiality. (“Your typical chef,” he told me.) He also adores the Co-op Market and its clientele. Jason and the Market staff lovingly refer to their niche market/eatery as “The Roundabout Cafe,” a nickname inspired by a long-time Co-op member who eats at the Market regularly as she watches the traffic on the roundabout. One busy morning I talked to Jason about his new role. He said the goal was to offer simple, savory favorites with a unique twist. The menu is mostly classic Americana, with an emphasis on fresh, local ingredients. 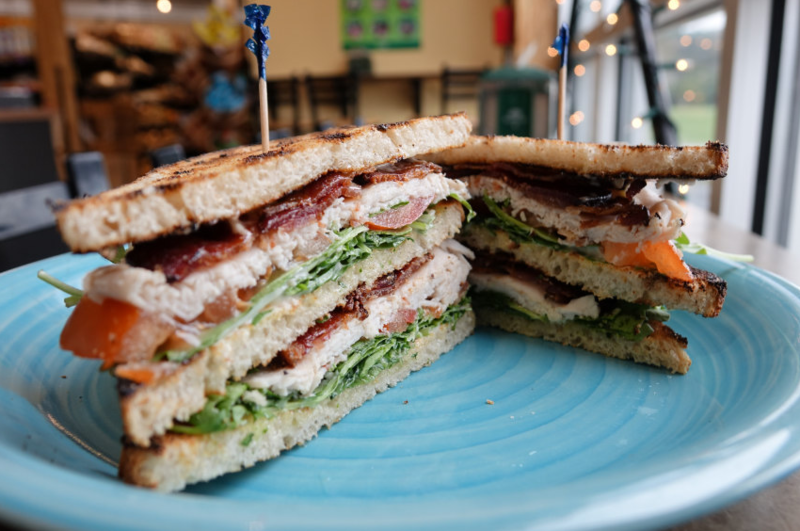 Popular offerings include Pineland beef burgers and cheeseburgers, smoked spicy pork loin sandwiches with smoked gouda and Russian dressing, the best turkey club around, the foot-long grinders, and of course, Jason’s red beans and rice. 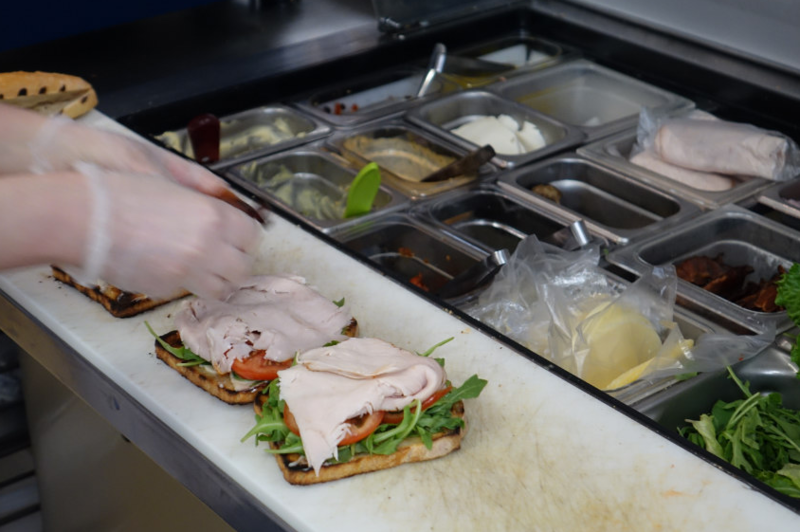 Savory soups, a wide variety of signature sandwiches, and Jason’s daily special surprises round out the menu.